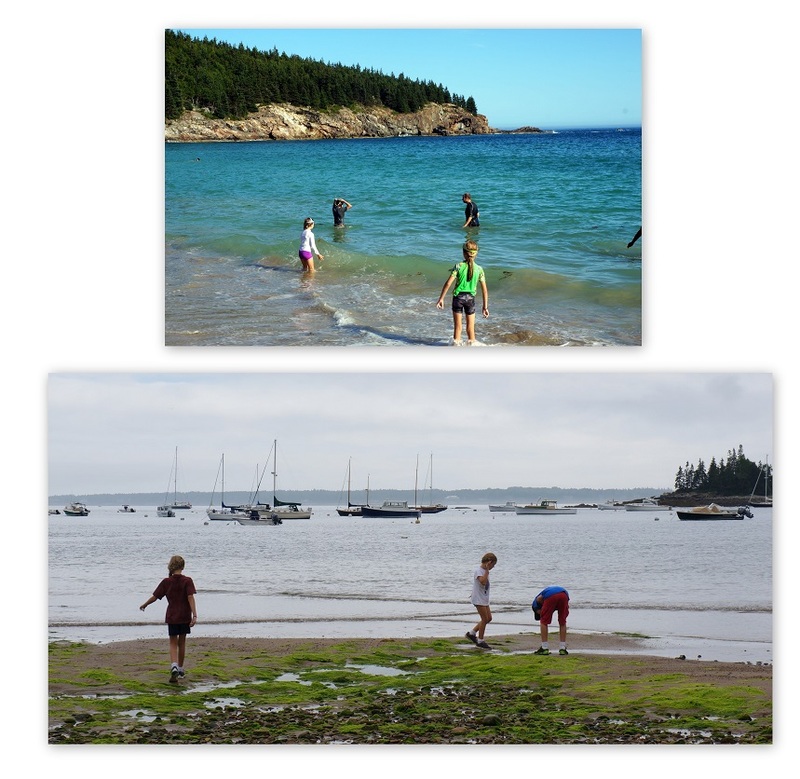 Before I dive too much into our school posts, I wanted to share pictures from our last week of summer vacation. 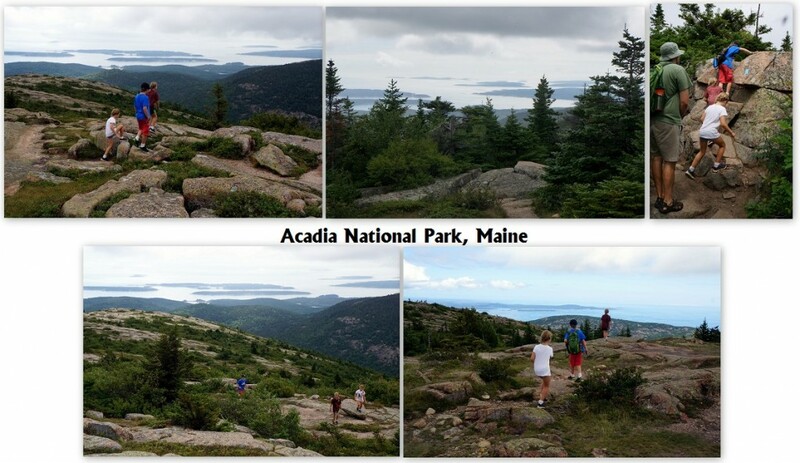 Back in the spring, we made camping reservations at the Blackwood Campground in Acadia National Park. 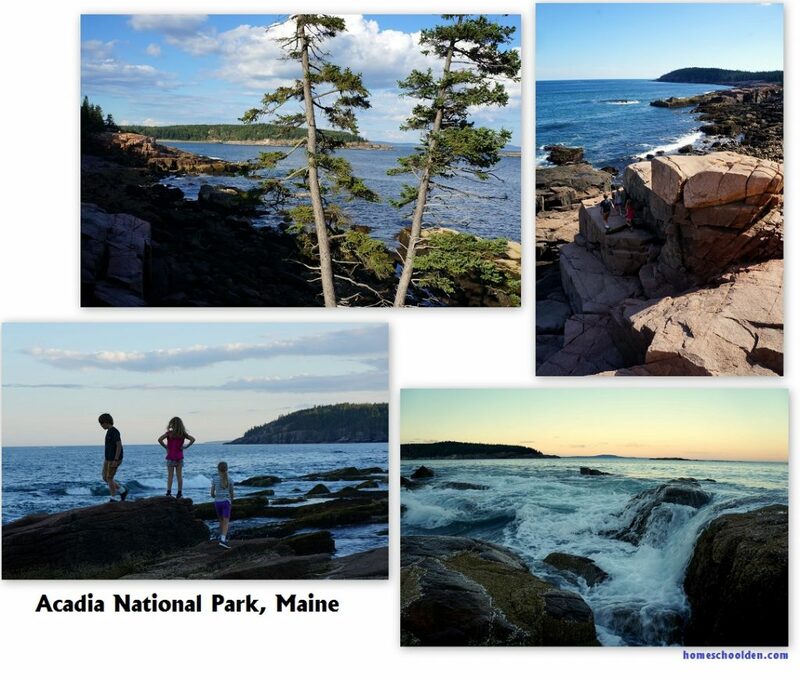 We drove up to Maine and spent a week enjoying the beauty of that area! We did a lot of hiking! And the kids and Hubby even braved the cold ocean waters! We weren’t held back by the rains. It rained for two days, but we still went on hikes in the park and managed to cook our meals. 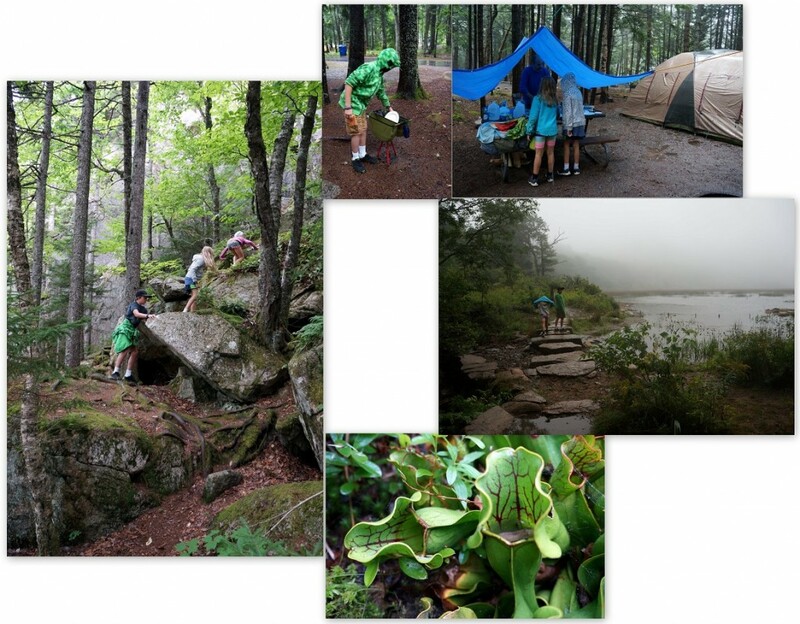 The kids were really fascinated by some pitcher plants we saw. If you look closely in the picture below you can see a slug had fallen into the collected water. The kids thought those were pretty neat! 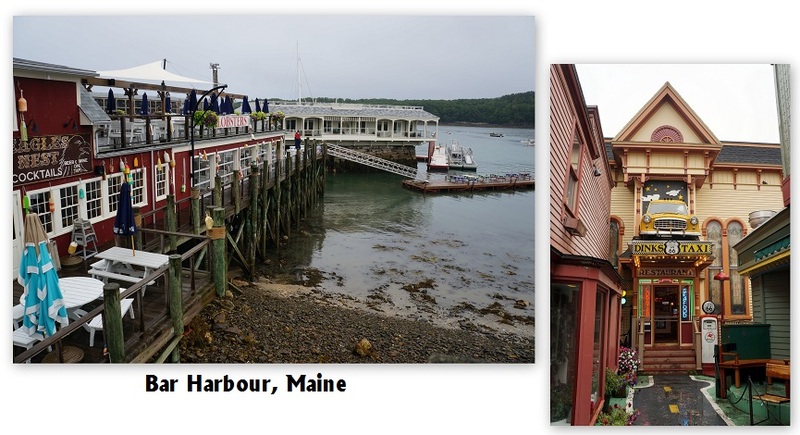 We also went into Bar Harbour, Maine for a couple of meals. We tried the lobster rolls, lobster chowder… and other lobster dishes. We really loved our meals at the Thirsty Whale and Route 66. After a couple of days, the rain let up. 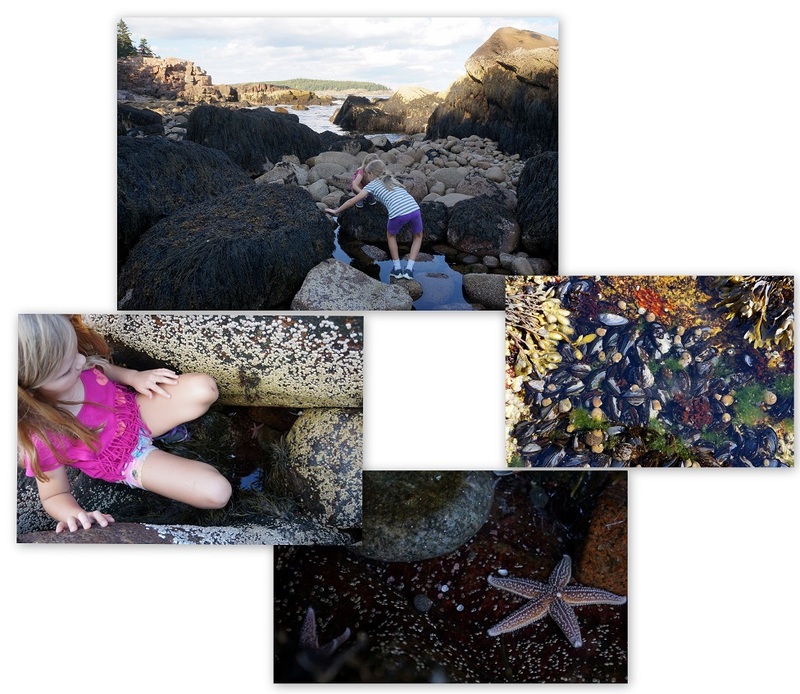 We loved hiking along the beaches… and the kids spent hours looking in the tidal pools. Acadia National Park really is beautiful!! We had to rush back home because we had a very close friend come visit us from Hungary. Years ago, I was in the Peace Corps and spent two years living and teaching (English) there. When I first arrived in Hungary, I spent three months living with a family. One of the boys, now grown up, came over for a business trip and was able to come for a visit. We took him to Washington D.C. 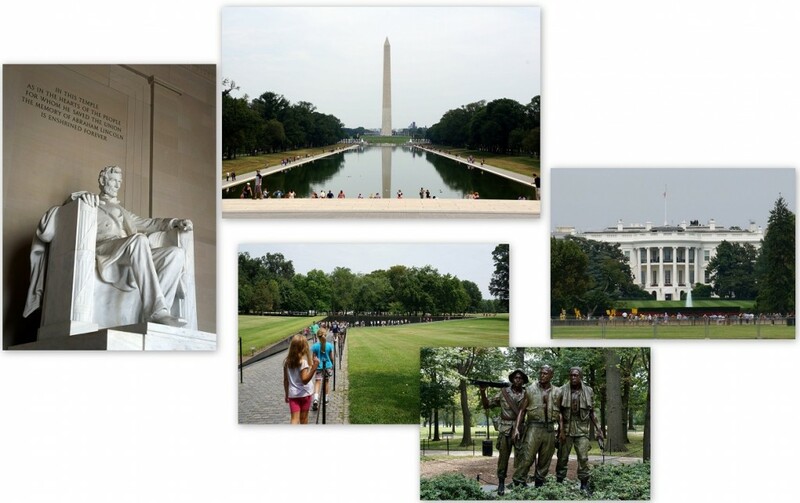 I thought I’d also include our touristy pictures of D.C. in this post. And that brought our summer to an official end. We started back to homeschool the day after he left. 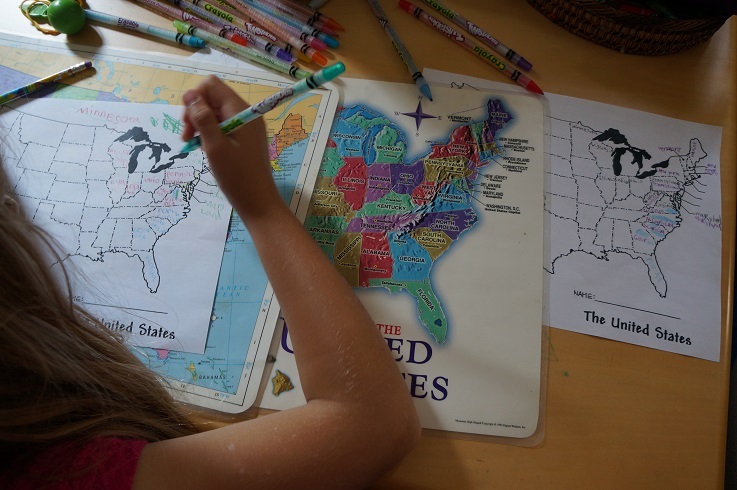 Since we traveled a lot this summer, one of our first activities for geography/history was to fill in a map of the U.S. highlighting our three main trips… to Florida, Minnesota and Maine. We traveled through a lot of states! Next summer, we hope to visit a number of national parks out West. That’s about it for today! See you again soon here or over at our Homeschool Den Facebook Page! Next story Happy Labor Day! Can you imagine your 4 year old working to help pay the bills?